Very interesting! 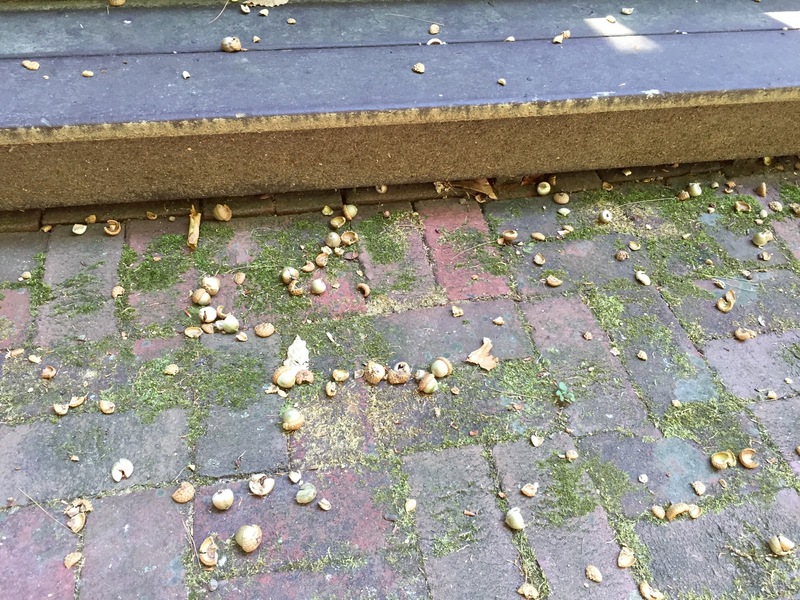 Glad that those acorns are not a predictor of a long cold and snowy winter! Tell Marvin that we say thank for the DVD. Most of the photos are new to us. I know, that was my worry…Glad you are enjoying the DVD. I’ll tell Marv. Thanks Faye for a fun and informative piece. I marvel at your appreciation of nature. I appreciate the descriptive language. Thanks for the feedback. I pondered over the sentence, “I live close to the ground…” realizing how much and how often this house and its location sets the stage for so much observing and appreciating. I do enjoy writing about the natural world! Now I can add acorns falling all around to the many subtle signs of the coming season, the shortening days, the messages about fall courses. But the sun is still shining and warm, jackets are still in the closet and my pace is slower. Faye, oh what fun to learn about the life cycle of an acorn. I am grateful for your continued revelations! Thank you for putting your thoughts into the world! Heather, thanks for your encouraging words. I like how this piece draws on the writer’s experience to build a lively image of acorns, heavy as hail, hitting the roof. Further, I like that she doesn’t take for granted what “squirrel/chipmunk flurry” might mean for coming winter weather–but chooses to investigate. Rosemary, I enjoy your “heavy as hail” comment and the connection to the dreaded reminder. I hoped against hope that my research would not lead me to conclude 1 + 1 = 2 and thankfully, it paid off!